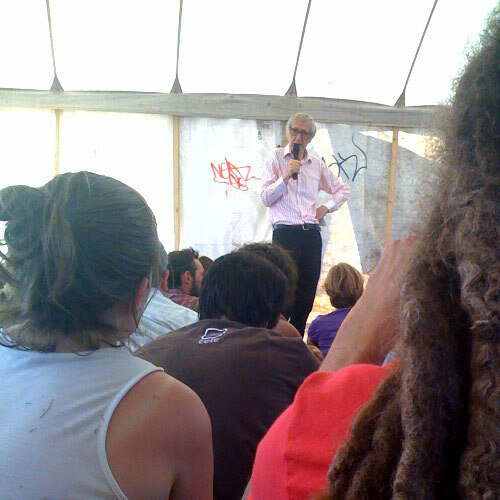 I attended David Fleming’s talk at the Climate Camp Is economics without growth possible?. The place was packed. It was really interesting to hear someone playing with big ideas, and asking difficult questions. Those hooligans, they’re a menace! 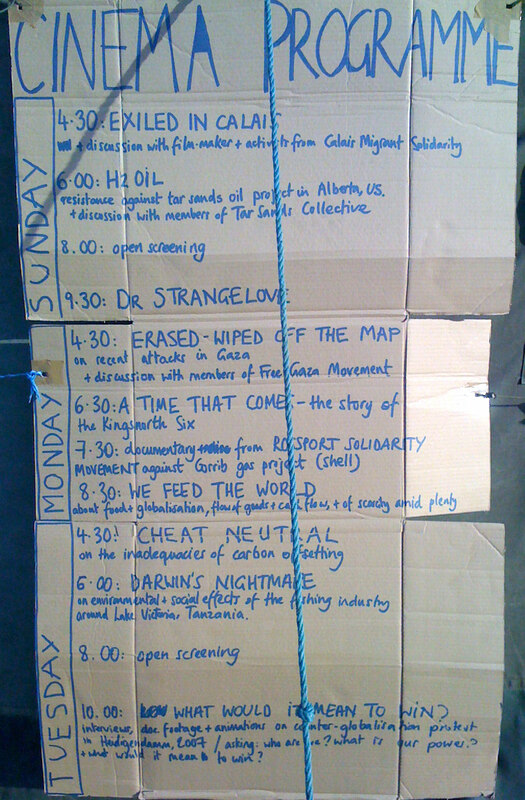 Here are my suggestions if you fancy attending a workshop at the climate camp today. More ideas here. Exploring future scenarios in the context of climate change. Various futures as predicted through three lenses: science, permaculture and economics. Based on the work of Six Degrees author Mark Lynas, permaculturalist David Holmgren, eco-economist Herman Daly as illustrated by artists for the travelling exhibition: Futures Scenarios. David Fleming: is economics without growth possible? It is widely agreed that our economy cannot continue to grow indefinitely. Environmental damage and resource depletion will see to that. And yet, if growth were to be halted, then the economy would be destroyed in another way: it is a dynamic system which (like a bicycle) depends on forward movement to maintain its stability. This is the growth curse. The market economy is damned if it grows, and damned if it doesn’t. There are solutions to this, but they are very difficult ones, extending far beyond a reform of the financial system. The workshop will explore them. David Fleming is an economist, inventor of Tradable Energy Quotas (TEQs), and author of Lean Logic: The Empowerment Dictionary (forthcoming). Learn some basic bike maintenance skills. Learn how to climb a tripod – an iconic symbol of the camp for climate action, and handy for securing occupations and blockades. The “Economics without Growth” one looks particularly interesting, and isn’t just some angry protester shouting about injustices in the world, but is a respected academic talking about his suggestions as to how to fix things. Anyone know where the mysterious sundial has appeared from? Jo says “It’s near Vanbrugh Park – very nearby to Royal Standard area and pub. It’s on the side of the road where the number 53 and number 380 buses go towards the Standard”. 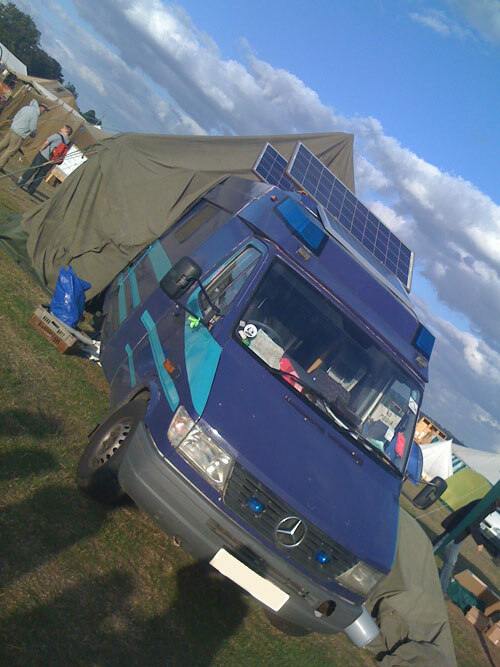 Welsh cops have been drafted into London to deal with up to 3,000 environmental protesters. Nearly 30 officers from North Wales Police were sent to the Climate Camp at Blackheath in east London, overlooking the capital’s Docklands and Canary Wharf, earlier this week. (which wins the Bugle award for least imaginative headline). As I walked up there, I did hear a load of people shouting “get a job” from the safety of their cars as they drove past the camp… Didn’t hear anyone reply “get a bike” though. 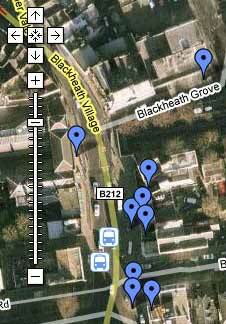 The article also mentions the number of planes over Blackheath. Claiming that the protest gives the government the “political space” that they require to get tough on climate change.